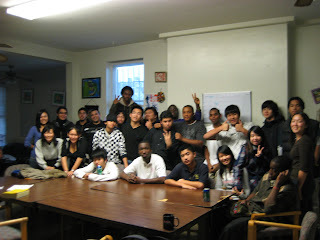 On November 26, a day before Thanksgiving, the SSP youth were able to directly engage with the AA LEAD staff and volunteers. 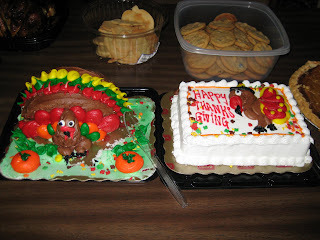 We had wonderful food with all the trimmings (including a turkey shaped cake) and were able to gather together and share in the wonderful holiday spirits. 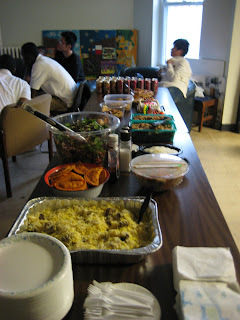 AA LEAD staff were kind enough to prepare food for the pot luck, including spiced basmati rice, stuffing, corn, Korean japche, buffalo wings, homemade empanadas, and more! We had old alummi return for the festivities and had volunteers at the event as well! It was a great experience! We hope to continue in this tradition next year! Gobble Gobble~ Happy Thanksgiving!